Kevin Kampe – President Womack Machine Supply Co. This is a fairly well known quote, which simply means not everything that appears to be precious or true turns out to be as advertised. Imagine for a minute what it must have been like in 1848. You are living a decent but tough life as a farmer, plowing fields; planting/harvesting crops and tending to livestock all so you and your family can survive. It’s the only thing you know and you are good at it but you still wonder what it would be like to have something different. You wake up at 4:30 A.M. each and every morning to begin the hard backbreaking chores, which will consume at least 14 hours of your day. When the grueling day comes to an end you sit down to dinner with your family immediately followed by you retiring to your favorite rocking chair on the covered front porch. As you sit quietly on the porch thinking about the next day and the chores that await you your moment of solitude is interrupted as you see the neighbor Bob approaching on horseback. The horse is coming on at an unusually brisk trot and Bob is pulling firmly on the reins bringing the horse to a slow walk as he excitedly jumps off. Bob glides up the porch steps and over to where you are relaxing seemingly on air. He excitedly tells you of the news that gold has been discovered at Sutter’s Mill in California. He proceeds to share with you his plans to sell his farm to the first person that makes him an offer so that he and his entire family can make the 1300-mile cross country journey to his vast fortunes awaiting him near Coloma California. It’s now 1851, three years removed from Bob and his family setting off for California and the dream of a better life. You are tending to your weekly supply run into town to buy feed for the livestock. As you pull your wagon alongside of the loading dock your old neighbor Bob appears with a bag a feed slung over his right shoulder. Surprised to see Bob you greet him assuming he must have invested part of his fortune to purchase the local feed store. For a brief moment you are jealous that Bob chased the glitter of gold and you did not. You chose to maintain the more simple, predictable and safe life. What came out of Bob’s mouth next was just awful. Bob and his family indeed made it all the way to California. He spent all of the money obtained from selling his family farm on panning equipment and a small plot of land alongside a river where the locals said glittery gold could be seen from the rivers edge. Bob was so enamored by the glitter beneath the water’s surface Bob spent twice the amount of money on the land that it was actually worth just so he could lay claim to the gold that lay within in its boundaries. Once the deal was struck Bob set out to retrieve the glittery objects that would make his life so much easier. In reality Bob did not find gold he found pyrite more commonly referred to as “fool’s gold”. What was once a vision of a trouble free life of excess and luxury suddenly turned to the reality that everything was not as it had been promised to be. Even though we are in the year 2017 and we are in a business-to-business environment the same ideas hold true. Glittery and fancy marketing pieces, advertising campaigns, catchy slogans, websites and social media content may create a short term glittery effect but often times that glitter turns out to be nothing more than “fool’s gold” full of empty promises and leaving you frustrated and disappointed. At Sheffer we may appear to be somewhat “old-fashioned” in our ideals but we still believe that our word is our bond and we are working each and every day to change the perception you may have of cylinder suppliers. 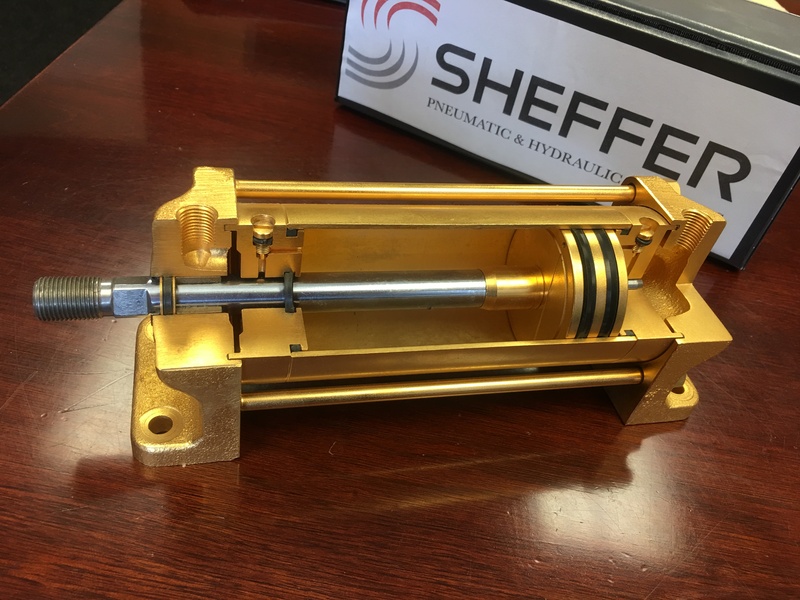 If you have struck “fools gold” with your current cylinder supplier consider Sheffer’s industry exclusive “Gold Program” .